If you wish to be close to everything and stay in a quiet luxury and harmonious area. 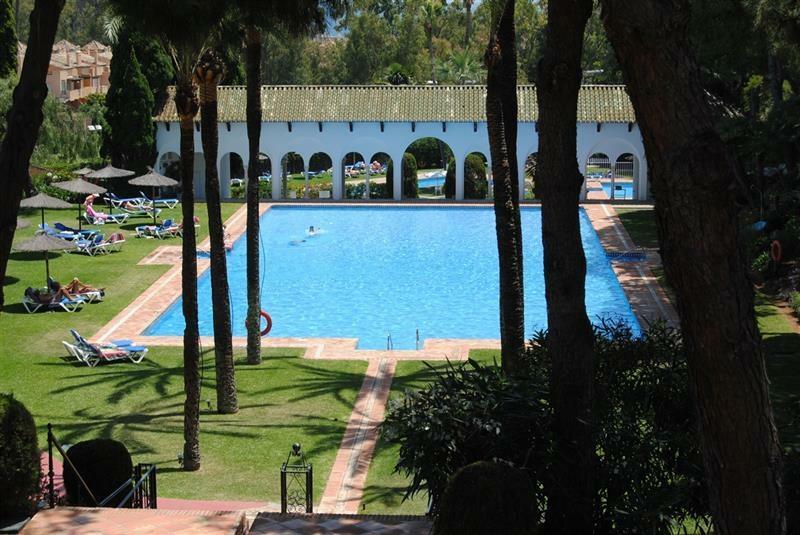 Sea view, walking distance to beach, Tennis, Paddeltennis, 3 pools and jacuzzi, Sauna,Wifi. Apartment for 6 persons, person signing contract over 35 years old. Free use of two tennis and two paddle tennis courts. 4 pools and 1 jacuzzi heated and Sauna. Pool Restaurant open in high season. the urbanization is really nice. we spent 3 great weeks. you can walk to the beach (10 -15 minutes) or use the car. very close to porto banus and marbella center. It is perfect if you want to relax with your family (but it is great even if you like the night life) the apartment is really nice, well mantained, cleaned and with all the things you need. We had great time in marbella thanks also to Pia. Mycket bra o fin lägenhet, bara gott att säga, lyxigt område, sköna sängar, fina terasser, bra kök, fina badrum, allt bra. Dette er en super leilighet. Lys og moderne, god standard. Stor, deilig balkong med stor sittegruppe. Godt utstyrt kjøkken. Gode senger. Har bodd her to ganger og kommer gjerne tilbake.